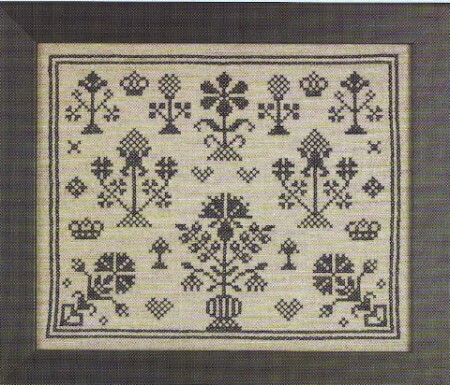 This cross stitch stamped sampler craft kit is an excellent way to practice your Navy Stitches on this Quaker Sampler. Various Pennsylvania Quaker motifs are joined in this printed cross stitch sampler to teach a young girl to sew . This craft stamped sampler kit compliments 463/ Dark Red Handwork . Lovely piece of high quality. I've worked this kit before, and am now doing one for a friend's Christmas gift. It's a very attractive design that is easy to work, with care. The two that I purchased are exactly what I was looking for. They are of excellent quality, and the recipients are very pleased with their gifts. Thank all of you very much for making giving a real pleasure, not to mention the very pleasant time of stitching them.